The all new After 8-30 is the perfect amp for bass players that are just starting out as well as more experienced players who require a quality practice solution. 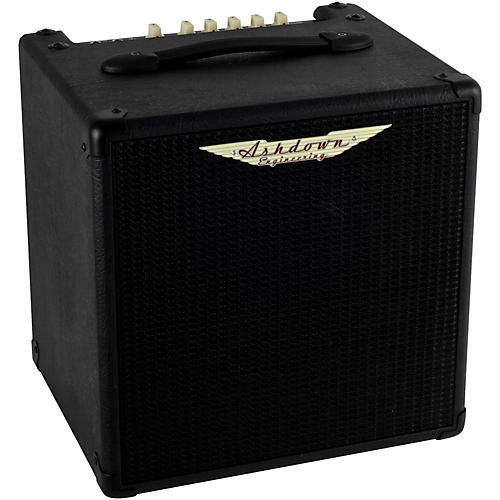 The After 8 provides 30 Watts of bass tone into a Custom 8"" Ashdown speaker. Comprehensive tone shaping options include a 3 band EQ, as well as hi and low inputs. The After 8-30 is equipped with a Drive control and a headphone out, plus an Auxiliary input with mix control. The AppTek feature allows users to connect their smartphone or tablet directly to the amp for further flexibility. EQ: Passive Bass, Middle, Treble.